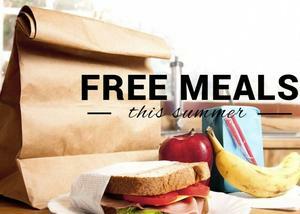 There are a variety of options for students and families to eat free this summer. Click here for how to access programs in the community./ Hay una variedad de opciones para que los estudiantes y sus familias coman gratis este verano. Haga clic aquí para ver cómo acceder a los programas en la comunidad. 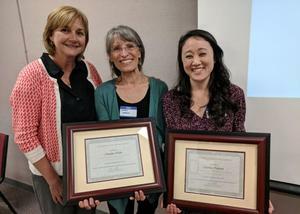 District nurses Claudia Wilde and Lindsay Nakata were honored at the SELPA III Community Advisory Committee (CAC) Teacher Awards Luncheon on May 24, 2018. 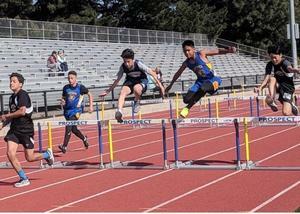 Students from Easterbrook Discovery School, Latimer School, and Moreland Middle School qualified and competed at the Santa Clara County Championship Monday, May 21, 2018, at Los Gatos High School. 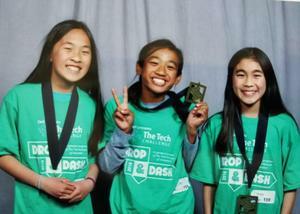 Two Latimer students & a Moreland Middle School student competed in the Tech Challenge 2018, Drop & Dash, an engineering competition through the Tech Museum of Innovation. Competing against more than 2000 students, Team CTB was one of only a few teams who successfully completed the challenge and then went on to win “The Best Teamwork Award." Several Moreland School District schools have been awarded Innovation Grants through the Moreland Education Foundation (MEF) Small Grants Program. Almost $8,000 in grant money was awarded to the four schools who applied and presented their idea at the May MEF Board Meeting. The Moreland School District is participating in a Santa Clara County pilot program that has increased the income criteria for families to be eligible for free childcare and preschool services. Moreland is thrilled to announce our District-Wide People of the Year. Congratulations to Teacher of the Year Caroline Sienknecht from Country Lane, Classified Person Katherine Goldberger from Anderson, and Community Volunteer of the Year Beth Barstow from Easterbrook Discovery School! Moreland's Administrator of the Year is Moreland Middle School (MMS) Assistant Principal Hilary Gill! Latimer and Easterbrook Discovery Middle School (EDMS) Band, Orchestra, and Jazz Bands each placed first place in their categories at the Music in the Parks Festival on Saturday, April 28, 2018. Moreland Middle School’s Destination Imagination Team, The Hungry Dinos, will advance to the 2018 Global Finals in Tennessee. Having competed against over 150 other teams from throughout California at the State Destination Imagination Tournament in Clovis on April 7, 2018, in one of seven challenge categories, The Hungry Dinos is one of 64 teams that will advance in either the elementary, middle, or senior level. Two Moreland schools have raised money to support Sonoma County schools affected by the North County fires in October 2017. At the peak of the fires earlier this school year, 180 schools were closed in Sonoma County.